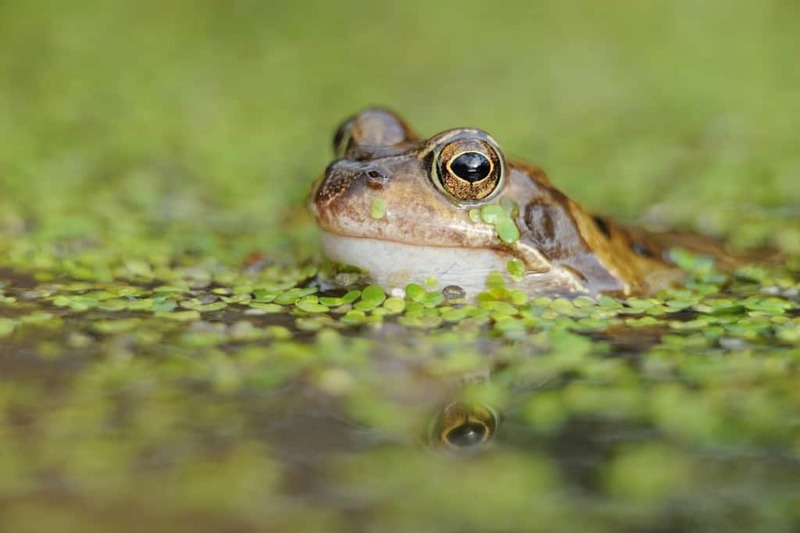 Gardeners peering into ponds at this time of year could be in for a nice surprise. The thick, jelly-ish clumps of frog spawn floating free and long strings of toad spawn, wrapped around water plants, will soon turn into a mass of wriggling tadpoles. And with a bit of help, they can grow up to be gardeners’ friends – slug and snail-devouring frogs and toads. Tadpoles can be found everywhere on mainland Scotland in early spring, even in built up areas – including our biggest cities. The best places to look are in ponds and ditches. • The highest altitude a common frog tadpole has been found at in Scotland was in a loch at the top of Ben Macdui – 1120m up! • The speed at which tadpoles develop depends on the water temperature. The fastest developing tadpoles in Scotland are natterjack toad tadpoles. They can turn from an egg into a tiny toad in as little as three weeks, although it usually takes longer in our cold Scottish summers. In Scotland, natterjacks – so called because of the loud rasping call made by the male toad in the spring – are only found on a few sites on the Solway Firth. • At first the tadpoles of frogs and toads are difficult to tell apart but it gets easier as they get older. Frog tadpoles are speckled and toad tadpoles are a dark colour. • It’s a tough life for a tadpole. Only a tiny number of the thousands of eggs that are laid in a pond each year make it to adulthood. They get eaten by dragonfly larvae, newts and fish and are vulnerable to diseases. • Toad tadpoles are protected from predators by having a poisonous skin. In the 1970’s, an American lecturer got his students to do a taste test – and yes, they tasted disgusting! • Meanwhile, in South America, the tadpole of the appropriately-named paradox frog is bigger than the adult frog. The tadpole is 25cm long – and the frog is 7cm!